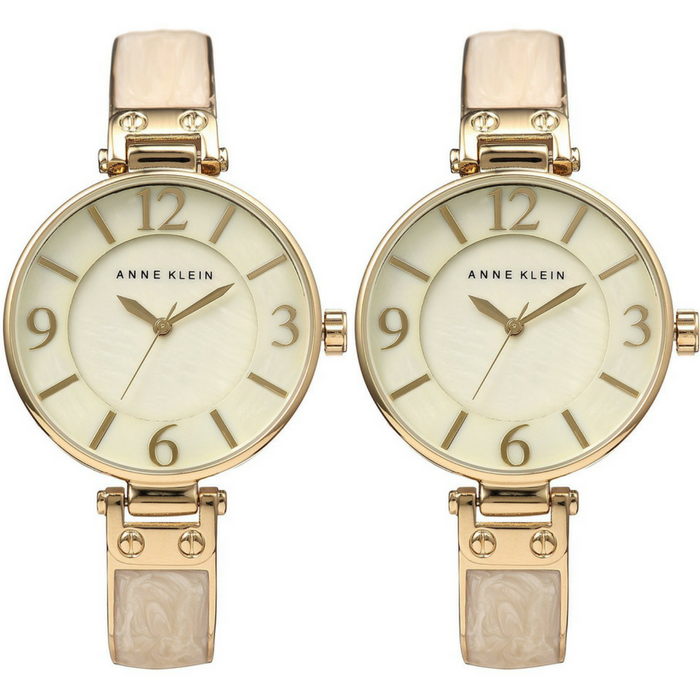 Anne Klein Women's Bangle Watch Just $26.99! Down From $65! PLUS FREE Shipping! You are here: Home / Great Deals / Amazon Deals / Anne Klein Women’s Bangle Watch Just $26.99! Down From $65! PLUS FREE Shipping! Anne Klein Women’s Bangle Watch Just $26.99! Down From $65! PLUS FREE Shipping! Looking for a perfect gift for your partner? Check out this Anne Klein Women’s Bangle Watch which is currently on sale at Amazon for just $26.99 down from $65 PLUS FREE shipping! Marble acetate bracelet with jewelry clasp closure. Mother-of-pearl dial features gold-tone hour markers and hands and Anne Klein detailing.